Reveal your skin’s glow with our Advanced Genifique Hydrogel Melting Mask, inspired by our most talked about serum Advanced Genifique. Our powerful Hydrogel Melting Mask contains the same amount of bifidus extract found in 1 full bottle of our Advanced Genifique Serum 30ml. The formula is enriched with bifidus extract and a hydrogel matrix technology. 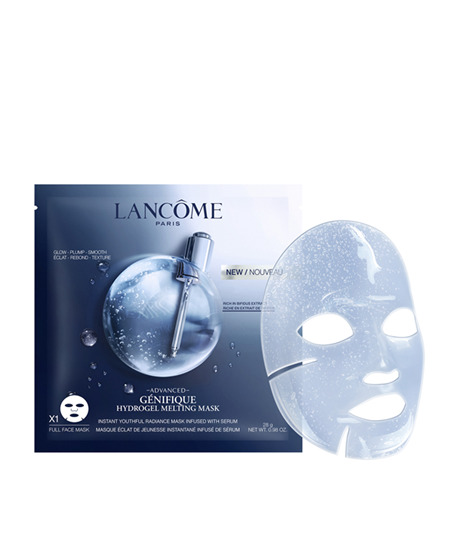 This innovative sheet mask formula melts into the skin to leave it feeling smoother, fresher and energised. You will feel the face mask melt into your skin to leave it feeling smoother, fresher and ready for make-up after just 10 minutes. The mask can be used for up to 30 minutes for skin that looks younger, radiant and rested with a healthy glow.